This weekend, JustEat has a great promotion that's on now! 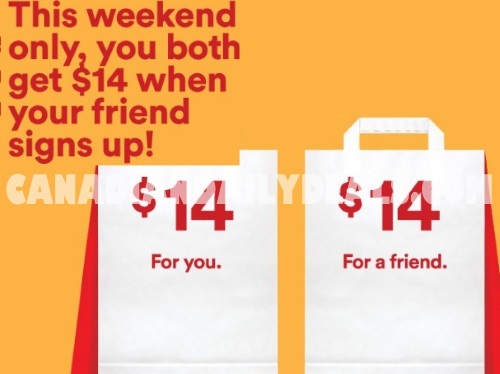 When you refer your friends you both get $14 credit in your account! You get $14 and they get $14 too to use on free food, how awesome is that? Offer ends Sunday, July 31, 2016. JustEat is a food delivery service, that has many restaurants available all over the city. I've been using their site for a long time and love it for easy lunch and dinner options. Click here to sign up for JustEat.